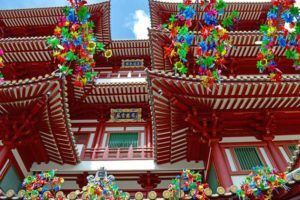 Singapore and Chinese New Year – Can it be done on a budget? 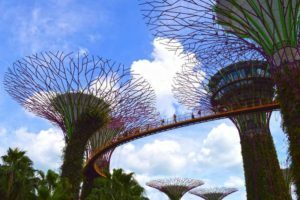 Our must see list includes Temples, Chinatown, Markets, Bayfront, Gardens by the Bay and of course, Food!!! After Phuket, this was the last stop of our cruise and we decided to cautiously dedicate 3 days to Singapore. 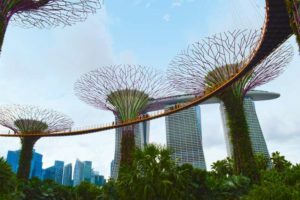 This is how we managed to stay in one of the most expensive destinations in the world on a shoestring budget, and still manage to do everything on the Top See List. At the cruise port terminal, we exited the building in search of a taxi to take us to our hotel. We did the usual walk to get as far away from the crowds as possible when a man approached us and offered his taxi service. We said yes, he turned out to be a limo service and charged us SGD$50. For any cruisers finishing here or visiting here: Walk completely out of the terminal where there are actually a string of bored taxi drivers waiting. 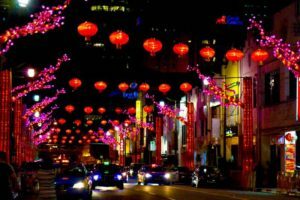 As it was Chinese New Year, we decided the best place one could celebrate and soak up the atmosphere would be Chinatown. 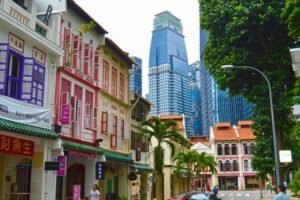 It doesn’t hurt that this area is probably the most affordable tourist area in Singapore. We checked into the Chinatown Hotel on Tech Lin Road. If you choose this hotel, keep in mind some rooms do not have a window and many rooms have bunk beds. Our room had a window, a large bed, and the very asian bathroom – think powder room with a shower in it; wet toilet and sink when you shower. It is located very well, close to food, markets, temples, subway and right in the middle of Chinatown. 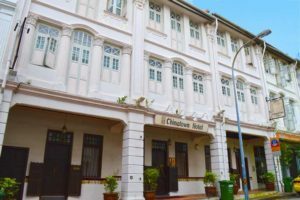 Cost for 3 nights: SGD$217.32 or SGD$72.44 (USD$51.18) per night, including taxes. Not bad considering it was Chinese New Year. 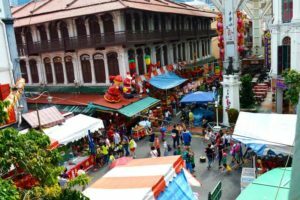 Our go to food destination for the 3 days was the Maxwell Road Hawker Center which dedicated the massive 3rd floor to food stalls – literally hundreds of food stalls, all hawking their own style of homemade street food. An adventurous foodies paradise featuring things I had never heard of and concoctions ranging from temptingly delicious to “I will absolutely not eat that“. The levels below featured clothing and other necessities, and the bottom level was mostly fish and seafood. Fruit was being sold at the outdoor markets. All of Chinatown was decked out in red for the festivities, lanterns swayed from the buildings and outdoor markets and shops were selling all sorts of wonders. We bought a breakfast pomelo for a shocking SGD$9 and savoured every bite. Then we visited the Buddha Tooth Relic Temple and Museum; no entry charge, very pretty and surprisingly quiet. Starting to feel hungry, we headed to the Maxwell Road Hawker Center to begin the odyssey of the search for lunch. It was 13:30 (1:30 pm) in the afternoon and the place was packed with locals. After a lot of searching and changing our minds several times, we settled on a place called Hang Kee Cantonese Cooked Food where we ordered 2 Spicy Chicken fried Vermicelli noodles with chicken for a total of SGD$12. The cook was rude, and the chicken was questionable, but the noodles were very good. Note to self: do not return to that booth. 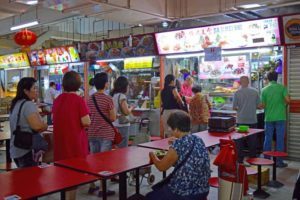 Check out my Maxwell Road Hawker Stalls – Eating on a Budget in Singapore blog for more on the several vendors we tried in this mind boggling place. Keep in mind, the night markets are amazing as well, as they are all lit up and so pretty. Disadvantages are the shoulder to shoulder crowds. 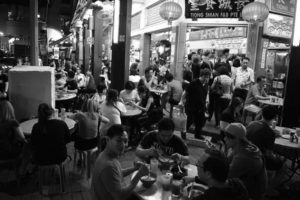 If you are not so adventurous with food, there is an upscale open air street food market in the heart of Chinatown, aptly called Chinatown Food Street. 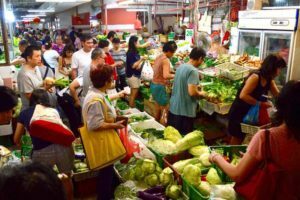 Prices are minimum double as much – 2 plates of rice with Abalone, 3 big prawns, a pork with noodles dish, 1 diet coke and 2 wet wipes: SGD$63.00 (for street food ? ). We discovered that you should not ask people for directions. They put smiles on their faces and then proceed to tell you anything that sounds good; ideally, you should be well aware of where you want to go! Which brings us to the subway, known as the MRT. Great system – very clean. You buy your ticket at a ticket machine. Make sure you have SGD$5 as it seems everybody with SGD$10 were having complications. From Chinatown to Bayfront it was SGD$1.40 each way ($2.80 total pp). 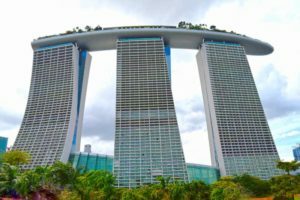 The famous Marina Bay Sands Hotel towers against the Singapore skyline. This 5 star resort boasts some of the best views in the city from it’s observation deck ($23 for non guests), an incredible infinity pool in the sky, a casino, lounges, shops, bars and restaurants. Often sold out, prices to stay start at around $450 per night. We did not go into the building, but there is a beautiful view from the Gardens by the Bay. The Shoppes at Marina Bay Sands luxury shopping mall. 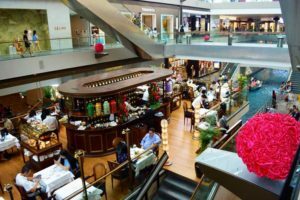 Great place to bide some time if it is raining or to browse and buy in upscale shops with names like Armani, Dior, Tiffany, Louis Vuitton to name a few. Over 60 high priced restaurants will keep the hunger at bay or help quench your thirst while watching the good life pass by. Chinese New Year was jammed full of people; you could literally not move. We had made plans to meet with friends in the Marina Bay district for drinks, snacks and the firework display. After trying for almost 2 hours to negotiate the 2 blocks to the subway, we were presented with a controlled entrance (due to high volume) and a never ending line up. Unfortunately, we had to cancel our plans and instead found a spot where we watched the unimpressive fireworks and then fought our way back to our hotel. The next day, almost everything in the city was closed. 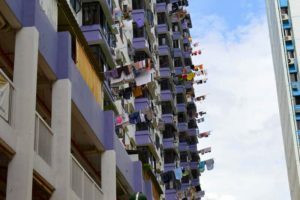 Note: Singapore is known as the cleanest city in the world and with that comes many false claims and illusions. There are cigarette butts on the ground, there are rats and there is dirt and garbage. 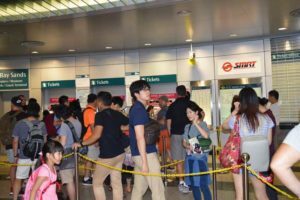 That being said, in the posh tourist areas, like Marina Bay, you will probably not see any butts, garbage or dirt – consider it tourist dollars hard at work. ? Here, you will also pay $28 for a Singapore Sling at Raffles! Cost: Taxi (limo)from cruise port $50, Hotel $217.32, Food $148.50, Laundry $14, Subway $2.80, Taxi to airport $20. 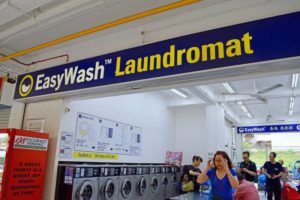 CLICK FOR MORE PHOTOS of Singapore including Subway, Laundromat, Hotel, Opening Hours, and more. 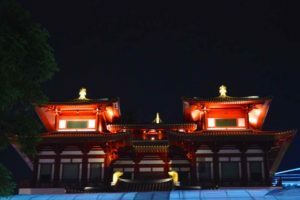 Check out our other Asia Travels! Its like you learn my mind! You seem to understand a lot approximately this, that is fantastic blog. A fantastic read. I’ll definitely be back.